Especially for Navy Recognition, DCNS presents its new Unmanned Underwater Vehicle (UVV) D19. This new vehicle is developed to accomplish a wide range of missions, including ISR, electronic warfare, etc. 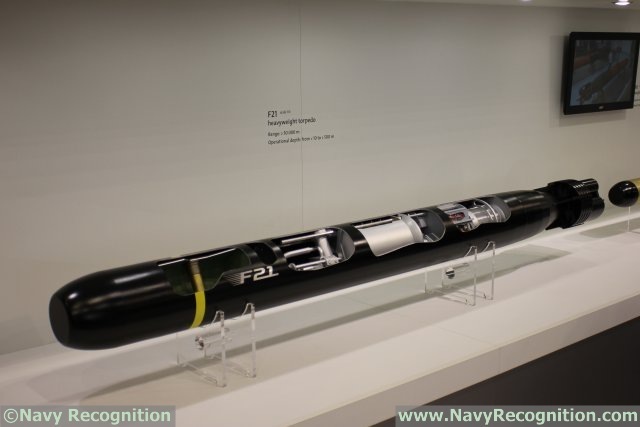 In an exclusive interview for Navy Recognition, DCNS presents its all new D19 UUV. D19 is the latest generation of versatile Unmanned Underwater Vehicle developed by DCNS for military missions. Already sea proven for different missions thanks to the joint effort of DCNS and French Navy, the D19 combines long endurance and intelligence to offer a wide range of operational employment. It can be launched by submarine, vessel or from the shore. Its payload is modular according to the mission. 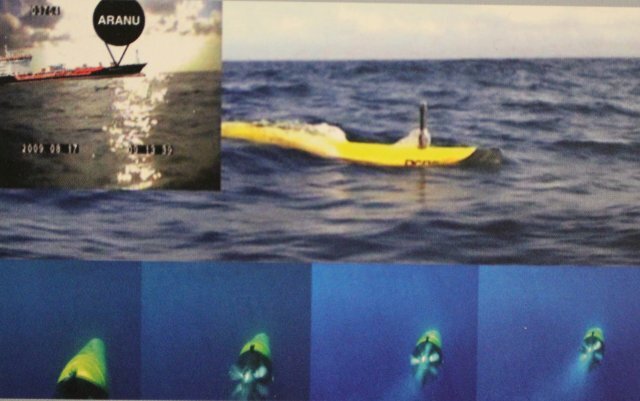 D19 UUV is fit for ISR mission. For exemple, it can read a name's ship 1 km away. 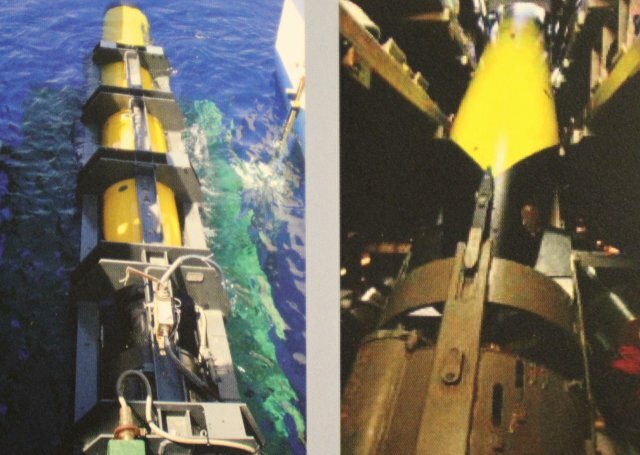 The D19 UUV is built on a F21 Torpedo base. This way, DCNS takes advantage of its experience accumulated with the development of this torpedo. The D19 is propelled by a Lithium-ion energy section. D19 is designed for military missions. Indeed it disposes of an accurate navigation system (INS), it is auto or fibro guided, it transfers the collected information in real-time by GPS, GSM, SATCOM or by optical fiber (60 km of cable on board). Furthermore it can be recovered some time after the mission and it can also get lost in the meaning of there is no storage of sensitive information on board. 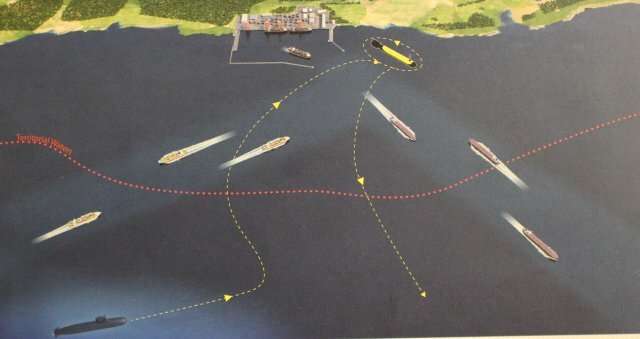 - it can be deployed and recovered from the shore, a vessel or a UUS equipped submarine. Its length resizes itself, from a minimum of 5 m to a maximum of 8 m, according to the mission and the required payload. The diameter of D19 is 533 mm because it is developed on a F21 torpedo basis and because it has to be launch from a submarine's torpedo tubes. Even fully loaded, the D19 UUV's weight doesn't exceed the ton and the speed goes to 0 to 25 kts. The endurance is about 30 hours with a range of maximum 100 nm. Those features allow the D19 to be launched outside the territorial waters of the targeted country.